It’s crazy to think of how much has changed for me since I started collecting squares of fabric with the idea of making a rainbow quilt back in 2011. Perhaps I should make a prediction now about what the next three years will hold for me, just to see how wrong I am! One thing remains the same, I love fabric and yarn rainbows! I’m not sure when I started this quilt, probably not long after I finished the first quilt I ever made. I thought it was about time it was added to the done pile. 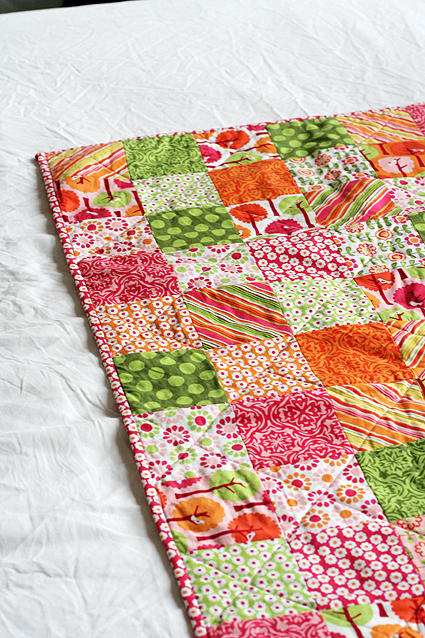 The quilt top fabric is Summer Song by My Mind’s Eye for Riley Blake. 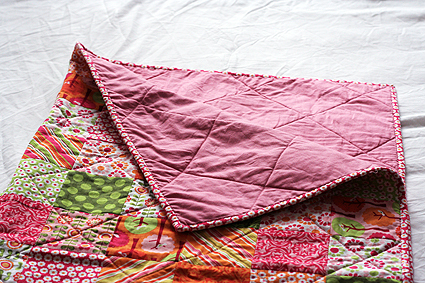 For the first quilt I made with this fabric I used the pink blossom fabric for the binding. 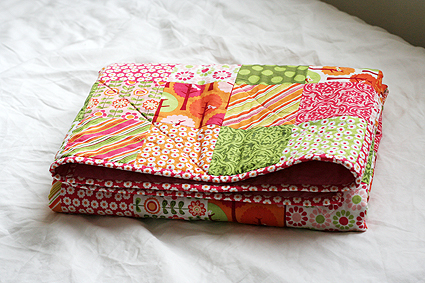 This time I made binding from the same orange fabric I used for the backing. 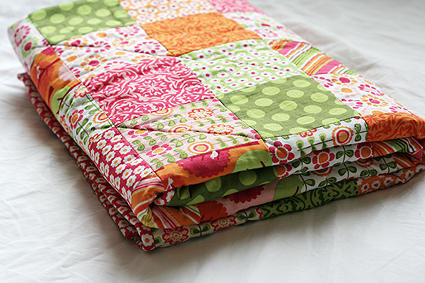 Summer Song is still my favourite fabric range of all time! I also used it to make a needle book for my Nanna last year. I have some left, not sure what to make with it. Suggestions? Squares – 108. Arranged in an alternating light and dark pattern.